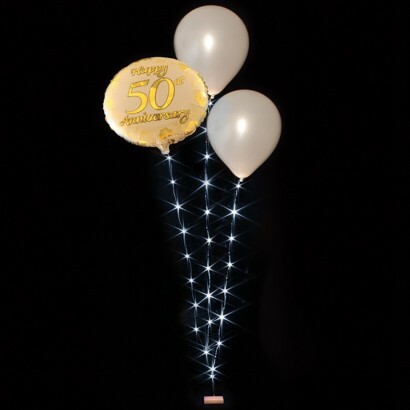 Just like the Balloon Lite but designed to hold three balloons at once, the Balloon Light 3 Strand Set features three strands of LEDs in either warm white or bright white. Weighted by a discreet battery pack, each wire of LEDs follows the same motion, with a choice of static, twinkling or alternating flash. The versatile Balloon Lite 3 Strand Set can either be used with helium filled balloons, or alternatively used to hang non-helium balloons. 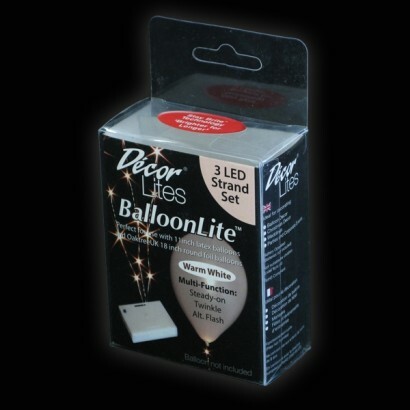 As they are battery operated, Balloon Lites are perfect for decorating any area with beautifully glowing detail.